Hi guys! I miss you all and I miss my blog! I know I haven't been creating any post lately. I was terribly busy because of two things. On my last NOTD, I told you that something's bothering me a lot! Everything is settled now. First, it's about my job. I am not disclosing it here because I don't want to post any details unless I got the position. Now I'm doing it because I got the item!!! I am now a public school teacher here in Pampanga. Oh how I've been waiting for this chance for years since I applied without being infected with the 'backer phenomenon' in our government office employment process. Sad that even in schools, it's already viral. Second is about me and my boyfriend Jaycee. We're in this stage of we-don't-now-if-we-need-to-get-married-now-or-what phase. Long story. Difficult to explain. We both settled believing that it will happen in God's time - the perfect time. We're near our 5th year already. Anyhoo, all is well now so let's go to the main point of this post. haha. All about S-A-L-E! This time, Romwe's having their Season Clearance. Their launching new and different designs of bikinis, swimsuits, dresses, crop tops etc. for summer! The clearance is in the countdown. 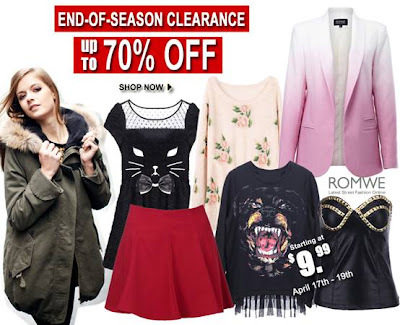 Romwe chose the best-sellers last season and you can save up to 70% discount. It starts for as low as $9.9. You will find something you prefer from top to toe. So get one now. Your still young couple, we we're turning 6 when we got married. Congrats on your teaching job. 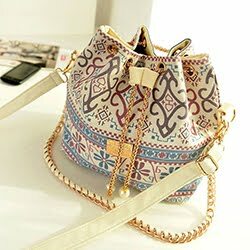 The clearance sale is so timely for you. That was great sale. There are really lots of saving in clearance sales. Bikini sale oh! Girls would love it! teaching is a noble profession. more power to you! Congratulations! It is soo hard to get inside the public education system :) and I wish you and boyfriend well!